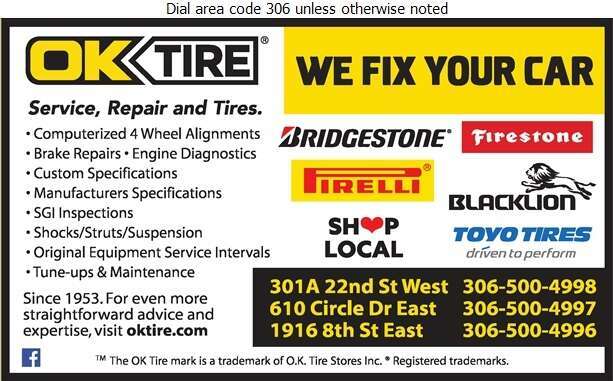 OK Tire & Auto Service has been serving Saskatoon and area since 1989. Each of their three locations are locally owned and operated, and conveniently located throughout the city. We are dedicated to keeping your vehicle maintained to manufacture specs, using original equipment service and maintenance intervals. Being locally owned means OK Tire heartily invests in their communities - because they live here, too. From hockey games to car racing, their owners are proud to be involved as both sponsors and participants. 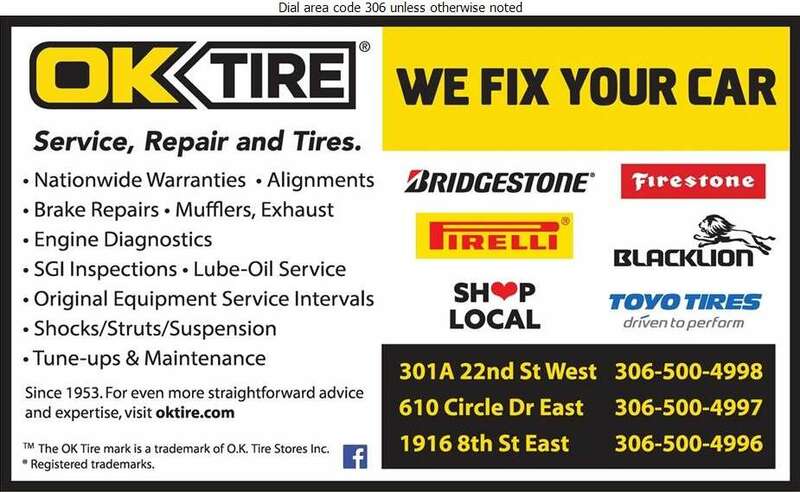 OK Tire in Saskatoon is also a proud sponsor of the Saskatoon Hilltops football team. For straightforward advice and expertise, you can count on OK Tire & Auto Service. Call, come in, or visit them online for more information. OK Tire - Honestly driven.